Apple Inc. hired a new leader for its business in South Korea, home to its biggest rival and a country where the iPhone maker has struggled with regulators. Brandon Yoon, a veteran Microsoft Corp. executive and most recently a vice president at Samsung Electronics Co., joined this month as general manager of Apple Korea, according to his LinkedIn profile. An Apple spokesman declined to comment. Leading Apple in Korea has been tough. In the days leading up to the iPhone X launch last year, Apple’s offices in Seoul were raided by authorities. 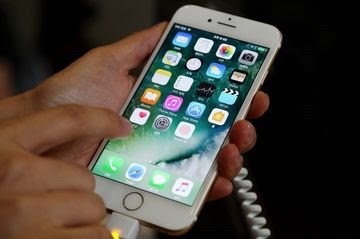 More recently, the Korea Herald reported that Apple could face penalties in Korea over pushing iPhone marketing costs on to telecom partners in the country. In 2012, Apple fired its Korea head amid slow iPhone sales in the region. According to data from Strategy Analytics, Apple had 18 percent of the Korean smartphone market last year, behind Samsung’s 56 percent. Earlier this year, Apple opened its first retail store in the country.